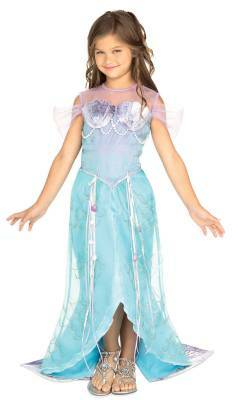 Includes dress with fiber-optic twinkle skirt. 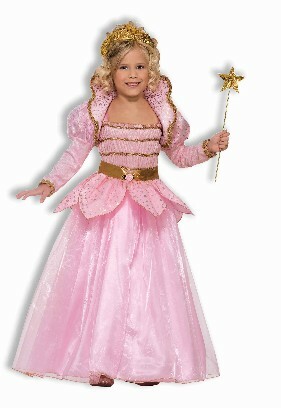 Tiara and wand not included. Includes dress, jacket, and belt. 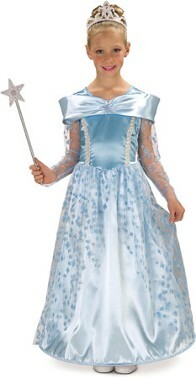 Crown and wand not included. Colors: Black/Gold, Black/Orange, Black/Red, Kelly Green/Gold, Kelly Green/White, Maroon/Gold, Maroon/White, Navy Blue/White, Purple/Gold, Purple/White, Red/Gold, Red/White, Royal Blue/Gold, Royal Blue/White. Colors: Same as Tops, see left. Pom-poms sold separately, see below. 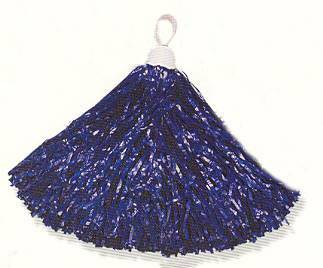 Colors: Vinyl Poms, see left. 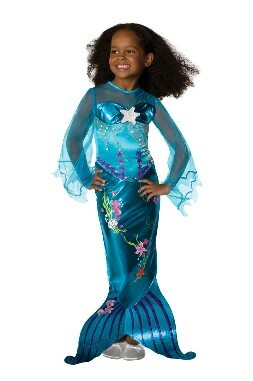 Includes sequin and lurex dress, and headband with foam seashells. 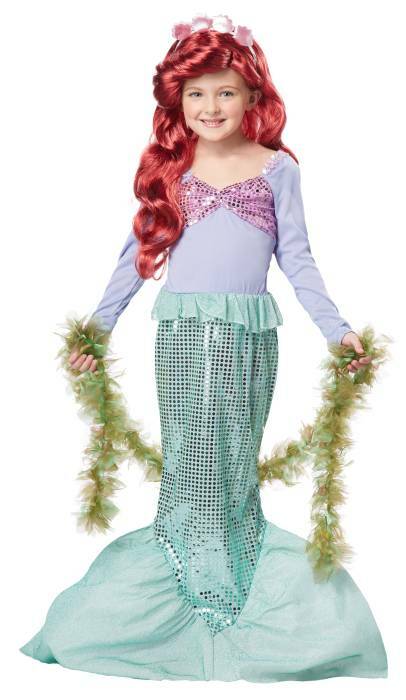 6 foot accessory for all Mermaid costumes. 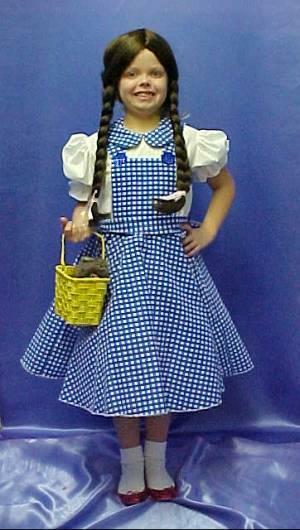 Includes dress, apron, and hat. 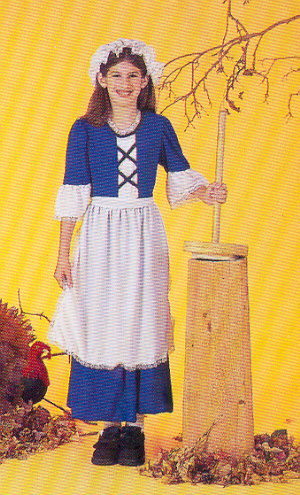 Includes hat, dress and apron. 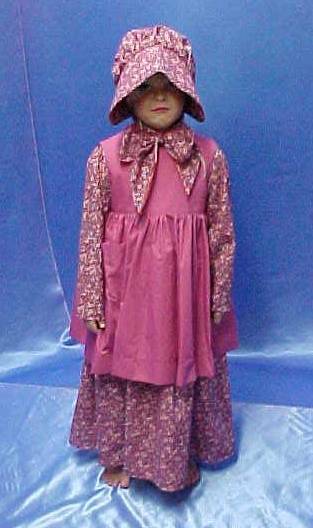 Includes jacket with attached vest, knickers with attached boot tops, ascot and hat. 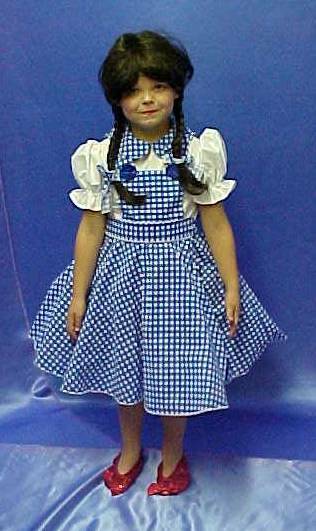 Includes shirt with attached collar ruffle, pants, and hat. Pistol, white hose and shoes not included. 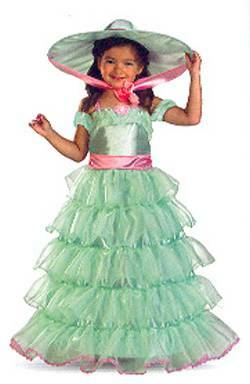 Includes tiered dress with hoops and matching hat. 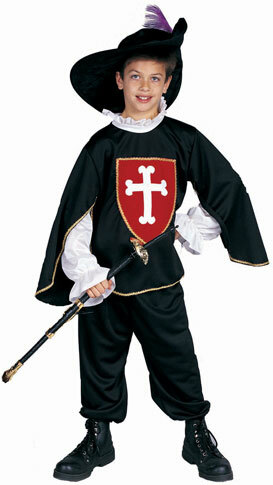 Includes jacket, pants & sash. 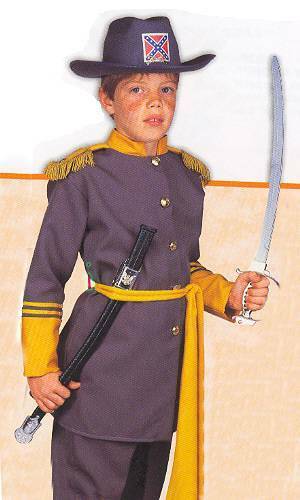 Includes coat, pants and sash. Hat and weapon not included. 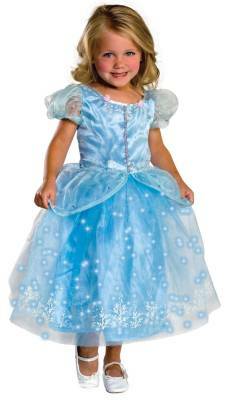 Includes dress and two hair ties. 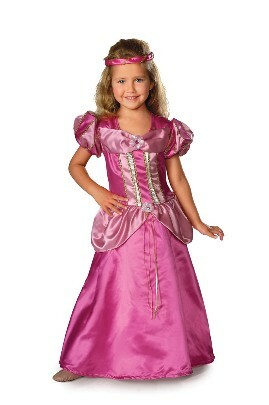 Includes dress, apron, and bonnet. 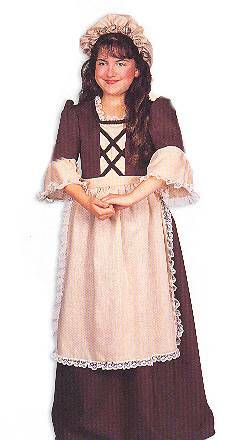 Includes tunic with collar and sleeves. 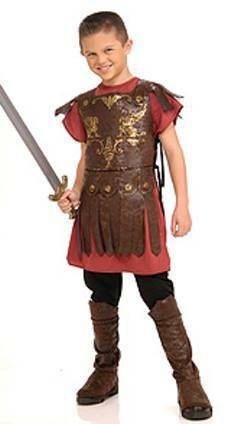 Includes poly tunic vinyl body armor with attached poly cape, arm bands, cuffs, leg guards, and headpiece. 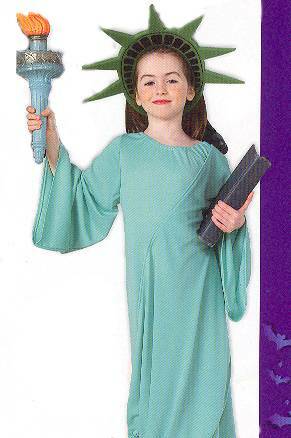 Includes headpiece and dress with drape.